Most people perform day-to-day tasks on autopilot. Are you guilty of doing the same thing with how you get referrals? 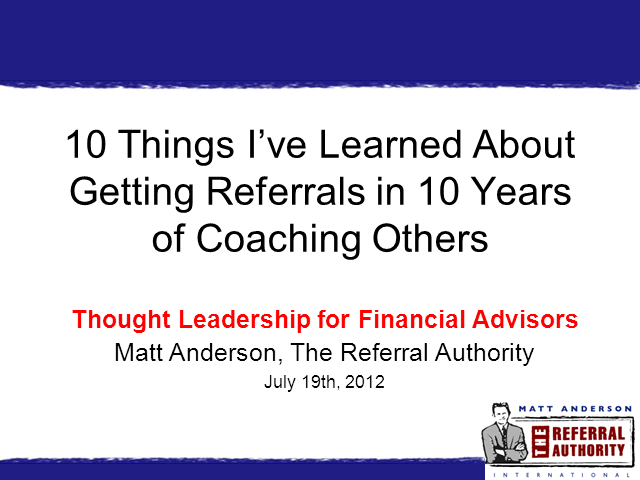 This webinar is intended to address the key lessons I’ve learned over 10 years. They include tips on how to generate more and better referrals as well as the lifetime advantages of why you want to persist with developing this skill and not retreat to old ways.